It's Samsung versus Apple. 3..2..1 fight! Apple’s Animoji launched only three months ago, but there’s already a competitor. Samsung introduced AR Emoji on the Galaxy S9, and it brings the same fun and whimsical animated avatars to Android—with a few tricks that iPhone X doesn’t have. So which one is better? Let’s take a look. Apple and Samsung take vastly different approaches to their emoji. On iPhone X, they live in Messages, and you can either create a 10-second video or a sticker within the app. On the Galaxy S9, AR Emoji live in the camera app, and you need to create a video or a sticker there before you can send it to your friends. AR Emoji videos can be any length you want, though the file sizes can get pretty big. Animoji videos, meanwhile, are limited to 10 seconds. AR Emoji are definitely cartoony, but they still capture enough unique features to be identifiable. Samsung also lets users create custom emoji, and it’s here where the two services greatly differ. The S9 will scan your face to create a kind of animated Bitmoji, which you can then tweak via a series of options and sliders. To create one, you need to launch the camera app, swipe over to AR Emoji, and tap Create Emoji. Then the camera will scan your face like Face ID does, and once you snap your selfie, it will spit out your cartoon likeness. From there, you can tweak your gender, skin tone, hair, eyewear, and clothing. As you can see above, they’re decent-enough representations of the subject, but can be a little creepy. Apple limits you to a handful of character options: an alien, cat, chicken, dog, fox, monkey, panda, pig, poo, rabbit, robot, and unicorn. New characters coming in iOS 11.3 include a bear, dragon, lion, and skull. On the S9, there are just three options to choose from: a bunny, a cat, and a blue bear-like thing. A partnership with Disney will bring Mickey Mouse and other characters soon. 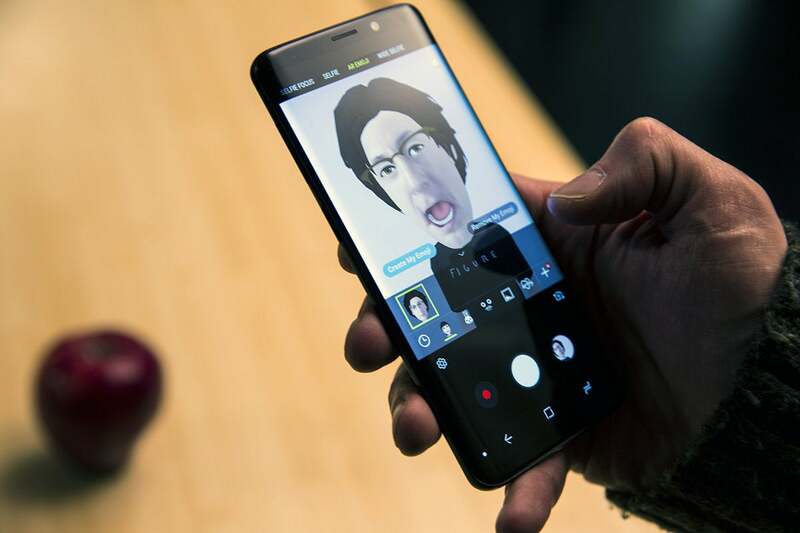 Of course, on the S9, you can also create your own character based on a selfie scan. There are more Animoji to choose from than AR Emoji, at least for now. Visually, the two implementations are quite different as well. Animoji look very much like the emoji they imitate, whereas AR Emoji look more like cartoon characters, complete with bodies and clothing choices. The edges on AR Emoji aren’t as smooth as they are on Animoji, and since they’re not really 3D, the animation looks flatter. Like Apple’s Face ID scans, Samsung says it has built machine learning into AR Emoji, so the tracking and creation accuracy should improve over time. The idea behind both of these emoji is that your facial movements control what the character does on the screen (whether it’s an animal or your own animated character). Apple uses a 3D-powered TrueDepth camera for the heavy lifting, and the difference between it and Samsung’s 2D camera are obvious. 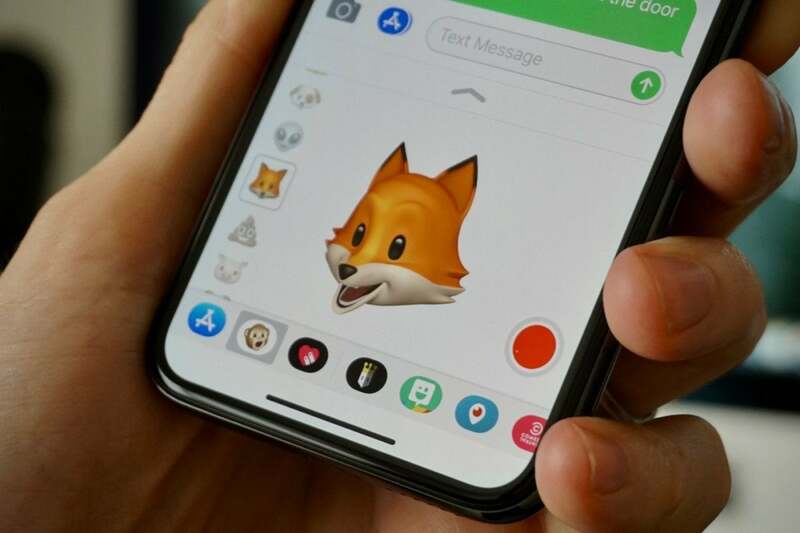 For example, Apple’s method picks up small interactions and subtle facial movements that Samsung’s doesn’t, and Animoji aren’t influenced as often by stray movements. You can control your own avatar with AR Emoji, not just cartoon heads. 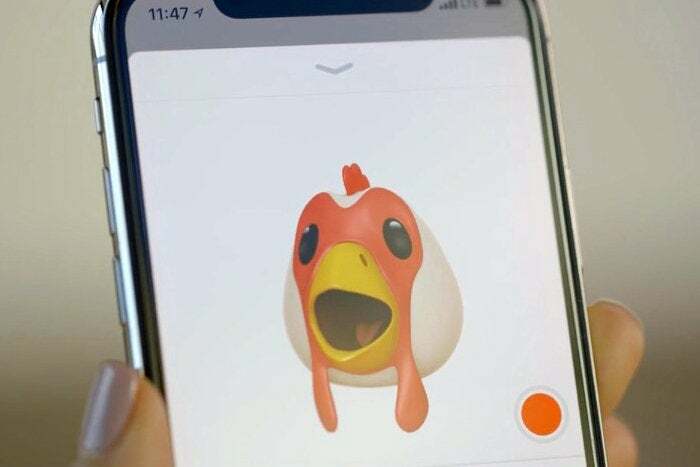 While the Animoji struggled a bit more with positioning and lighting, there was a lot more twitching with AR Emoji. In particular, eye tracking was all over the place, often showing me with one eye open and another closed when I’m pretty confident I wasn’t doing that. On the other hand, Apple’s TrueDepth camera tracked my movements to a tee, but gave me a much smaller radius to operate. Lighting is a bigger issue with iPhone X, and it would stop tracking my movements if it was too dim. But when I stayed in the frame in a well-lit room, there’s really no comparison between Animoji and AR Emoji. Every little movement was tracked on iPhone X, and my personality still shined through the cartoon avatars. On the S9, it didn’t really matter how expressive I was. The facial reactions seemed much more programmed on the S9, where on iPhone X, it really felt like I was controlling the face on the screen. Since Apple’s Animoji work through Messages, you’ll need to send them to someone before they can be saved as .MOV files. Samsung’s AR Emoji can be shared any old way—email, message, Dropbox, etc.—as soon as they’re created. Now for the moment you’ve all been waiting or: Can you do AR Emoji Karaoke? Yes! The two methods actually work very similar. During recording of your emoji karaoke, anything you have playing in the background will be muted on either device, so you’ll need to have your music playing on an external source. Then you just press the record button and start lip-syncing your heart out. Apple’s Animoji are limited to 10 seconds of recording, so for comparison purposes I’ve kept my AR Emoji short, but you could sing an entire song on your S9 if you’d like. Let’s start with Taylor Swift’s “Ready For It?” You can instantly see that how different the two methods are. The fox Animoji picked up much more expression that the blue boxy bear AR Emoji. Notice how the fox’s ears twitch when I bop my head at the end. However, the expressiveness is missing in the AR Emoji version. Also, you can see the weird AR Emoji eye tracking issues I mentioned earlier. 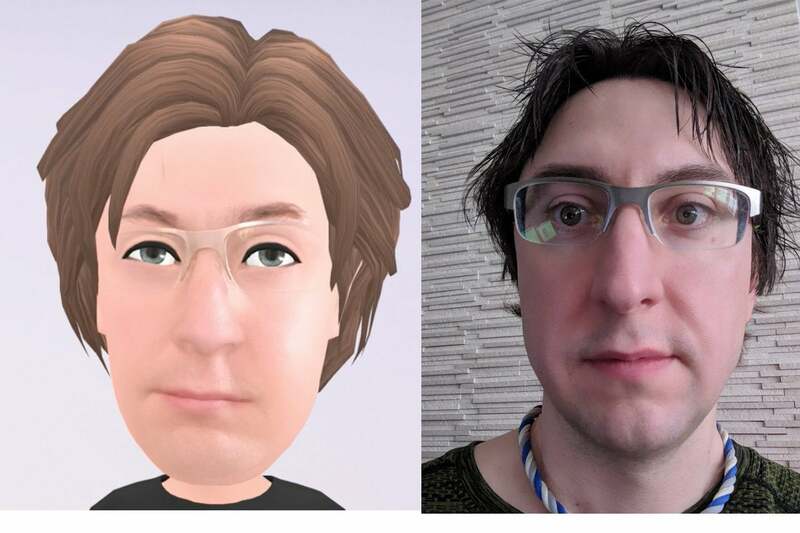 Without over-the-top motions on my end, the AR Emoji barely picked up any expressions, while the Animoji still captured the emotion in my eyes and forehead. The overalls on the AR Emoji are cute, though. And, finally, here’s a disturbing clip of my personal AR Emoji singing Radiohead’s “Paranoid Android.” Now I know why Samsung suggests you remove your glasses before scanning. If I’m grading on technical achievement alone, Apple’s Animoji is a runaway winner. With the TrueDepth camera, iPhone X is able to capture subtle movements that escaped the S9, and it gave the Animoji much more, er, character. And the Animoji options are much more robust on iPhone X, at least until Samsung starts adding Disney characters. Samsung’s personal avatars are super fun in spite of their limitations. It’s the first thing you’re going to want to do with your S9, and all of your friends will want to create their own as well. For that reason, I think AR Emoji will have more staying power than Animoji, and S9 users will probably use them long after the Animoji appeal has died down, especially since they’re not tied to messages, and video clips can be longer than 10 seconds. Overall I’d give Samsung the edge here, though I’d like to see it step up its game with 3D tracking on the Note 9 or S10.